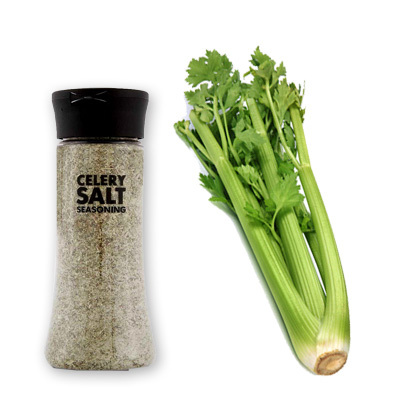 Celery salt is a seasoned salt used as a food seasoning, made from ground seeds, which come from celery. Sprinkle a little celery salt on pork roast, beef roast, vegetables, potato salad, tomato or vegetable juices. Rim your glasses with celery salt to make a killer Bloody Mary.